I will be doing a live hive split between 10-10:30am, and holding a stall for the duration of the event. 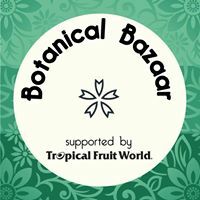 The Botanical Bazaar Gold Coast Gardening Expo, supported by Tropical Fruit World is a fully interactive green event aimed to educate and inspire all ages of nature lovers. This one-of-a-kind expo brings urban gardening, creative ideas and sustainable living to garden enthusiasts of all levels. Take home new gardening ideas and expert advice, fall in love with botanical homewares and art, have the ability to purchase a variety of plants. Come and learn how to grow your own food, how to attract butterflies and birds to your backyard or how to make your own cheese. See locally made vertical gardens, aquaponics and botanical art, learn about composting or how to maintain Native/European bees (including the Flowhive), get access to a variety of eco items to help you live a more sustainable life.